Easy online appointment booking. 24 hours / 7 days a week / 365 days a year. Do you need to see a P&M provider today or tomorrow? Check availability now. It’s easy. Saturday appointments available at the Alexandria and Kingstowne locations. Free patient information classes to support you through your journey. Register today. Our practice was born out of the notion that as medicine and technology advances, “care” should still be the foundation of providing medical care to women. Your journey to convenient, compassionate care starts with The Physicians & Midwife Collaborative Practice. In addition to the Obstetrics care for our patients, we provide a wide range of Gynecological care. To schedule your annual Well-woman visit you can call our appointment operators (703-370-4300). or schedule your appointment online. We can screen for sexually transmitted diseases, treat vaginitis or menstrual irregularities, as well as prescribe contraception. We understand that our patients time is valuable and our office hours and locations are in place to ensure convenience. In addition, our dedicated call center is in place during office hours to facilitate your requests for medication refills, lab results, or questions about your treatment. You can schedule your appointment for routine gynecological exams and general issues, such as vaginitis, abnormal bleeding, urinary tract infections, and screening for sexually transmitted diseases. "I always get professional, compassionate care at this practice. The doctors, nurses and support staff are exceptional." "Christine Edgerton was amazing. She was patient and made sure to answer all of my questions. I appreciate her kindness and overall bedside manner. " "Friendly, conscientious staff and doctors. Each experience has been professional and thorough. All questions are answered and staff and doctors are consistently patient and helpful." "Tammie is the best gynecologist I’ve ever had, and I’ve recommended her to all of my friends. Two, soon to be three, of them see her now too, and also love her She’s professional but friendly, and she makes sure you’re totally comfortable with everything she’s doing. Can’t say enough good things about her. " "Nurses are always friendly and doctors are great. Would highly recommend this practice. " "It was my first visit with P&W. I am in my second trimester. They took the time to get to know me and answer all of my questions. I recommend Kathleen Bell." "Dr. Andre was amazing. She understood my medical history and listened to my concerns. I will definitely recommend this practice to other women. " "Dr. Kisthardt is fabulous. She is very knowledgeable, questioning, concerned and thorough. What more can a patient ask for ? Oh And, she has a very pleasant and professional bedside manner. I highly recommend her "
"Amazing team - they really cared and gave me the attention I needed when I needed it the most." "My visit today was very good. The personal was friendly. Alexandra Gold NP was great very gentle and she listened to my concerns. " "I love Dr. Cunningham. She is so personal and friendly. The entire Physicians and Midwives practice is exceptional. " "The staff was decent. The doctor I’ve seen, Elise faith was excellent I enjoyed seeing her and for her being thorough with me on everything. She made me feel very comfortable"
"Dr. Cunningham is so friendly and kind, and professional. She is knowledgeable, yet I felt very comfortable, almost as if chatting with a friend. The staff was top notch as well. I am pleased with my decision to switch practices and feel like I have found one of the better practices in this area. " "I love Kathleen Bell and everyone else at the office who make me feel at home and calm me down"
"I saw Dr. Ahdoot and he's an amazing doctor. He sits and talks to you and is genuinely concerned about what you're saying. I'd highly recommend Dr. Ahdoot The front office staff was also very friendly and welcoming. I was even seen early. Great experience. " "NP Tammie Blair is to-the-point and has a patient-focused attitude that makes pregnancy and general female health visits effective and void of anxiety. I would recommend her and any of the health practitioners at this facility. " "I love Dr. King. The staff is amazing but she is like family at this point." "I was late for my appointment due to an unexpected work situation and the staff stayed to see me. Thank you, Sarah Grey"
"The best team ever "
"They are the best Dr. G is patient, understanding and knowledgeable. I came to this practice after my doctor of 30 yrs retired. Was not looking forward to building a new relationship but the doctors here make it very easy"
"My appointment went smooth. The environment along with the staff I encounter are always pleasant." "Everyone has been very kind and helpful whether it’s been a yearly ob appointment or my curent pregnancy checkups. 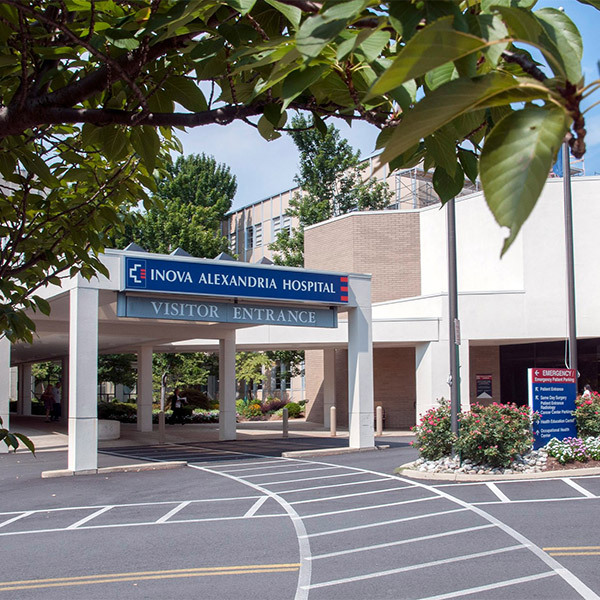 I only wish that ultrasounds were administered there in the office rather than having to go to Inova Hospital. " "Very good at being able to schedule appointments without an extended lead time." "Every one of the staff members I have interacted with has been friendly, informative, and caring. Really good experience at this organization so far"
"From the moment I walked in the staff was kind and caring." "The office was very clean and professional. The staff was very welcoming and kind. Allie Gold made me feel so comfortable She told me everything I needed to know, made me laugh, and overall gave me a very positive experience"
"appointment was available in the same week I requested, I was seen in time, did not have to wait too long outside or inside the examination room . thank you for respecting the time of your patients." "I absolutely adore Dr. Cunningham. She is patient, kind, and professional. She truly cares about her patients and has a 100 put of 10 for bedside manner. I wouldn't trust my health with any other specialty doctor. Truly a gem. -Rebecca D"
"Great midwives that listen to their patients"
"Beckie Tuteral is wonderful and very knowledgeable and helpful, as always. Thank you...she really listens and cares and answers all my questions, too. " "Dr. Tina Falika King is awesome She is always so nice and knowledgeable. I feel so comfortable every visit with her. She has great bedside manners. Would recommend 100% "
"Kathleen Bell is the best She makes me feel validated and heard any time I see her, which is invaluable for a new mom. She is knowledgeable and so easy to talk to. Thank you so much Kathleen for your help during this amazing crazy phase of life -Trisha "
"Absolutely love the nurses & staff at this practice. " "Great service and wonderful people. Would recommend to family and friends." "I’m always impressed with how quickly I get in and get out of my appointments here. I never feel rushed or shushed by any practitioner, but view this practice as wisely staffed and scheduled so that there are rarely any hangups in the system. I appreciate it greatly and know it contributes to an overall positive experience. " "The front desk assistant was so helpful with parking directions And the Dr. was very patient with me as I delayed the appointment to find suitable parking in a tricky location. " "My visit with Dr. Andre was great per usual. I’ve seen other doctors from the office and that was not always the case. Dr. Andre has great bedside manner and she makes me feel comfortable. She answers all my questions and she is easy to talk too. I would highly recommend her to any of my friends and family." "This was my first time at this office and everyone was very nice and professional. The doctor was wonderful. If your looking for a good place to have your annual exam I would recommend this office." "Dr. Cunningham is warm and easy to talk to. She problem solved to improve the quality of life for me." "10 out of 10 Very professional and on top of everything. The doctor was extremely informative and asked me a lot of questions. A very nice change from my previous doctor at another practice where I had to ask the doctor a million questions to understand the circumstance. I recommend Dr. Kongkasuwan to anyone. " "Alexandra Gold at Physician and Midwives is the best I’ve been going to her for 2 years now and she’s not only friendly and easy to talk to, but she takes the time to ask questions as well as allows me the chance to ask any questions I may have whtether big or small." "The staff is excellent Starting with the helpful front desk lady, she’s so nice and professional And all Doctors are very professional and make you feel so comfortable Im so happy with the service they provided"
"Attentive and caring staff and physician. I am a new patient, but my few visits have been all same, everyone treats you great. I travel 30 minutes from home and 50 from work and will keep coming. I highly recommend this physician & midwives practice"
"Great group of doctors. Very responsive and gives advise very well." "Great service and doctors everyone is so knowledgeable and friendly "
"I really like this practice. From the receptionist to nurses and Doctors are very nice . " "I love Dr Allie Gold I have been seeing her for several years and shes always kind and knowledgeable. My records are online, and I love being able to book online." "Dr Cunnigham provided excellent service." "Friendly staff. They really take the time to answer all questions. Thank you. " "Dr. K is great and very easy to talk to. She clearly reviews the situation and available options. I highly recommend her." "Love love LOVE Dr. King I found my Physican for life"
"Kind, caring service. Have been coming here for years"
"I have been putting off my annual exam for decades, because of all of the stories I’ve heard of what to expect. Today at age 37, I had my first one. Stacy was absolutely amazing. She walked me through the process and was so patient and kind. I will definitely be coming back here for many years to come. Thank you so much"
"Words can not explain this practice and staff Customer service is excellent "
"Tammie always spends time to answer all my questions and discuss everything in detail. She is thorough and never appears rushed. I always feel like I’m the only patient she’s seeing even though I’m clearly not. She is so kind, caring, and professional every time I am there. The office staff are always courteous and friendly as well and always see me right on time (sometimes early). I simply love this group and will never go anywhere else. " "Everyone was extremely helpful and Dr giammittorio is a gem"
"Physicians and Midwives practice is great All of the doctors, midwives and nurses are excellent. They take the time to really listen to all concerns and provide the best care. I definitely recommend this practice"
"I have been a customer of the Physicians and Midwives practice for almost 20 years now. When visiting, if not seeing my primary doctor, the other providers and midwives available have been amazing. I truly enjoy this excellent practice." "This really is the best practice I was seen quickly (barely had the chance to sit in the waiting room), friendly staff from reception to check-out. No one likes a pap smear, but bed-side manner was great and I felt as comfortable as one can be during this type of exam. I never felt rushed and my concerns were addressed. Wish I could come here for other medical needs"
"This is our second time around with Physicians and Midwives, I would definitely recommend them to friends and family. We’ve had the pleasure of having NP Sara Grey as our nurse, she has been very informative, answered all our questions, and overall very friendly. Thank you P&M "
"The best place ever. The staff is so wonderful and caring. I would recommend Physicians & Midwives to everyone.Thanks"
"Excellent patient care and service. Thank you"
"Dr. Kisthardt is an incredible physician who really takes the time to listen to her parents. She gives clear, thoughtful guidance when you raise any medical concern. The front office staff is wonderful, too." "Doctors and Staff are all sweet and polite. There is resources at any time or any day to answer questions. They truly care about their patients"
"I've been seeing Dr. Giammittorio and the other doctors/midwives in this practice for 30 years and would highly recommend. Knowledgeable and professional. Wonderful labor and delivery experiences. " "Katie was my ultrasound tech today and she was so friendly and professional. Everyone at Physicians & Midwives is amazing My appointment was at 2. I arrived at 1:45 and was seen within 5-10 minutes. I left the practice at 2:30. They are efficient and personable "
"I’m so thankful my friend recommended your practice. I receive top level customer service from everyone each visit. It really helps put my mind at ease. Thank you for the incredible support ❤️❤️"
"The wait time was nothing The staff is friendly and make an uncomfortable check up much easier." "I had a really positive experience at Physicians and Midwives. I would absolutely recommend it to friends and family. " "Allie Gold is exceptional Her bed side manners, super gentleness with pap smear exam and listening skills are worth acknowledging and recognizing. She took the time to listen to my concerns and did not try to push medications. I appreciated her gentle and compassionate nature and knowledge. " "My NP (Tammie Blair) is candid, kind and very knowledgable. I appreciate her bedside manner and wonderful demeanor. " "Dr. Cutting is easy to talk you and thorough in explaining her findings. " "The staff is really friendly and helpful. The nurse practitioner was able to explain everything to me and listened well to my questions and concerns." "I love Dr Cutting & her staff. I truly have faith putting my life & health in their hands." "Always a pleasant experience. Dr. Patricia G and her staff always go above and beyond to make me feel comfortable the entire visit. Love this office"
"All the staff is excellent, I like their professionalism and kindness. recommended"
"Staff is always extremely friendly, and it is always easy to schedule appointments, confirm appointments, etc." "Tammie Blair was very friendly and knowledgeable. She gave me enough time to answer my questions, she addressed all of them, and put me at ease. It was a good experience for my first time visit here"
"Kathleen was the most supportive provider I’ve experienced. She has a way of listening, being attentive, and also applies a lot of compassion to any fears expressed for someone in their first time pregnancy. You have a wonderful provider with her. " "The team at Physicians and Midwives is incredible. Everyone in the office is kind and Tammie Blair is an incredible doctor who helps make one of the more uncomfortable routine check-ups painless. I highly recommend Physicians and Midwives "
"Got there early and was seen early Every member of the staff is an absolute professional and I don’t take that for granted." "This was my 6 week post-partum visit after my emergency C-section where I got the thumbs up. I won’t need to come back for another 6 months—though relieved for the good news I’m also sad not to be visiting the office Dr. Graham has been taking such good care of me post-partum but this high level of care extends to each and everyone here THANK YOU"
"Providers are kind, supportive and helpful. I always leave feeling encouraged and well informed." "I’ve only been to this practice once but I’ll be going back next year. Dr. King was warm, knowledgeable, and took the time to answer my questions. I was really impressed. The receptionist, nurse, and phlebotomist were also great. I’d recommend Dr. King to anyone." "Our Midwife was fantastic. Answered all our questions and made me feel safe and secure. " "Excellent care, midwife really took the time to answer my questions and made me feel comfortable and confident about my health. " "The office staff always seem to have things running smoothly and I appreciate how upbeat and personable Courtney Marsh is every time I see her. I feel that she listens well and addresses my concerns with care." "Christine Edgerton was great. She was personable, answered all my questions and got me in and out in a timely manner. Front desk staff were great as well. Overall great experience "
"Physicians and Midwives has been great throughout my entire pregnancy They give great advice and suggestions when needed/asked or just for general pregnancy tips. All the doctors, midwives, nurses, and technicians are efficient and knowledgeable about what they do. Ladies up front, working the desk are always so friendly and greet me with a smile. They know me by now too, since I have been in so often. Thank you for your wonderful patient care." "Everyone does an amazing job. From the front desk to the medical assistants Thank you all, but especially thank you to Dr. Cutting"
"Today was my first time meeting Dr. Cunningham and I must say she is excellent Second best doctor in the practice next to Dr. Tabitha Andre"
"Dr. Cutting is great - professional, answers any questions, makes you feel comfortable. I am happy I found this practice and will continue coming back." "I had no wait, and all three people who spoke with me were extremely friendly. Worked with doctor about correct treatment (instead of just being told). Very happy with experience-will be back for certain." "The doctor was VERY informative, she explained everything to me. This is the first time in my 84 years that I doctor had explained procedures and choices to me in the language that I can understand. Thank you Dr. King." "Dr. King is a standout health care professional Excellent bedside manner, asks all the right questions, and clearly places patients first "